If only the world saw us the way our closest allies unequivocally do. "You are so smart and beautiful," says Momma as she squeezes the sides of my chin with one hand. "How do you know so clearly what you want in your life?" once asked a soul-searching friend of mine. "Lone, you are so creative. I am so proud of you," says my creatively challenged cousin. If Momma were the decision maker, I might have gotten that job offer I lost a few years ago because they thought I wasn't someone who rolled up their sleeves. Didn't they hear me say I started my own award-winning, multi-million dollar agency in the most cut-throat city in the world? When I shared stories of building creative digital departments from scratch were they looking at me while wondering if they should really have sushi two days in a row? I am a first generation American. I roll-up sleeves. My grandparents survived the Holocaust. I hustle. It's not who you are, but who they think you are. That Series A funding would have been yours if the investor that passed on you because they didn't think you were passionate enough was your best bro. You? Not passionate enough? You are the guy that hired a flash mob to propose to your wife in Washington Square Park. You created a podcast called Mad About Mad Men because just watching Mad Men wasn't enough. You play in a band for f*cks sake. The truth is that it's not them, it's you. Don't kill the messenger. With the few seconds it takes for people to put you in a box--from the clothes you wear to your intonation and posture--it's important you have a well crafted personal brand your audience can study before you meet them. It's a message that describes how you meet the world and is crafted from the intersection of who you are and what you do and includes the conversations you have that educate, inspire, and entertain audiences on and offline. Personal brand is an extension of you, not a mask and not something you zip into in the morning. It represents an undivided YOU. 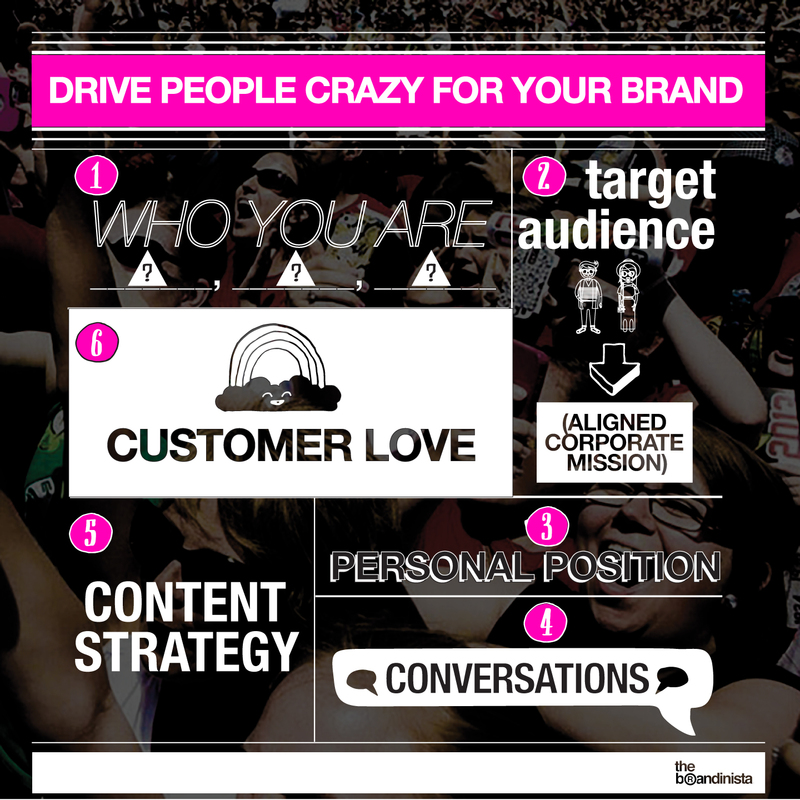 Done well, personal brand drives people to us. Let's start by taking three words your friends and family might best describe you. Write them down. Hang on, we'll get back to them in a moment. Why is building a personal brand important? People trust people not companies. People want to align with people who are willing to put themselves out there and put a stake in the ground. You have either risked a stable job to create a start-up or you love your chosen profession, so the deal is: you are your job. That's right, you are your job and the bar is set high to hire people, invest in people who are visible about their expertise and their lives. When you are writing articles, engaging with your industry on social media or at a dinner party about topics connected to who you are and what you stand for, you are credible. Personal brand can help you attract media, employees, investors and customers if you have a start-up and employers if you are looking for that dream job. Personal proof: When I started giving talks and seminars about brand building, engaging heavily on Twitter, and writing in the Huffington Post, I was running my own digital brand agency. My immersion in the community of people with shared interests and passions, I was able to get into meetings and have opportunities I didn't have before. I was out there and all of a sudden, people wanted to know what I thought. I sat at the table pitching with global brand agencies, but this time, I started winning. When you engage in conversations across the digital ecosystem in social media or write about topics in blogs or speaking events that traverse what's important to you and your business, your name comes up in searches, your voice is heard, and you come to the world in a new way-a brand new way. Personal proof: When I launched my new startup Far From Timid in November 2015, I often posted in LinkedIn and an amazing A&R guy from universal Music Group contacted me asking me if I'd like to use one of his artists for our brand. I drove him to me. It was a gift and I was so grateful. We did work together and it was one of the most fulfilling influencer marketing partnerships. Who is going to grow your business? Don't forget to include people in your industry, the media, and if you are a start-up there is an entire start-up universe you'll want to connect with like VC's. 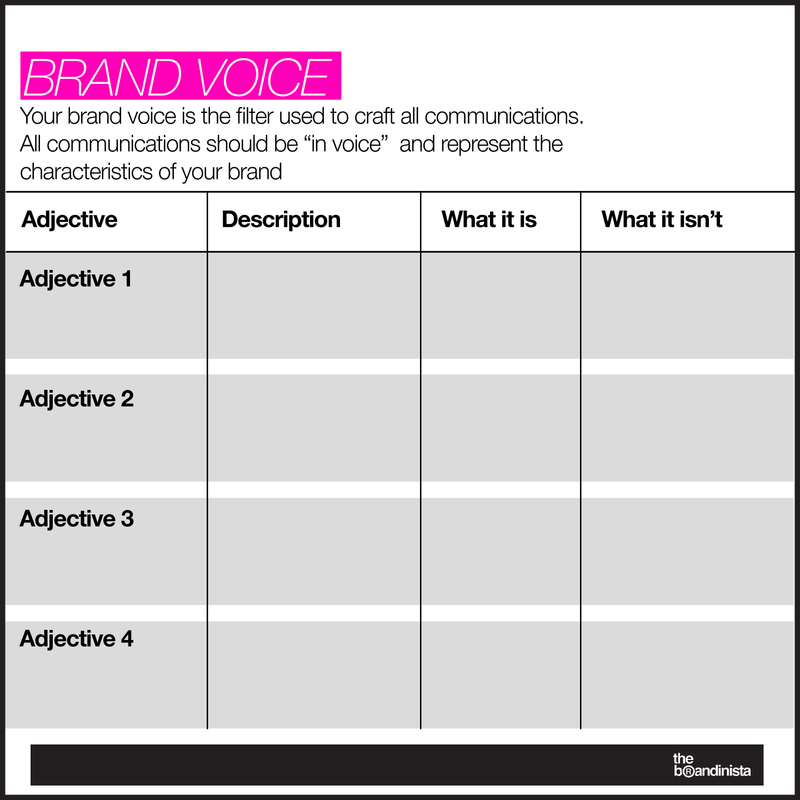 Your brand position is an internal message to help clarify who you are and what your mission is. It's aspirational and it explains your reason for being and how you contribute to your industry and your world. We start by taking the three words you used to describe you and then look at the higher purpose of your business. If you are FOCUSED, KIND, and ADVENTUROUS and your career or business is in wellness than your positioning might be: HEALTH EDUCATION SO PEOPLE CAN LIVE PRODUCTIVE AND ADVENTUROUS LIVES. 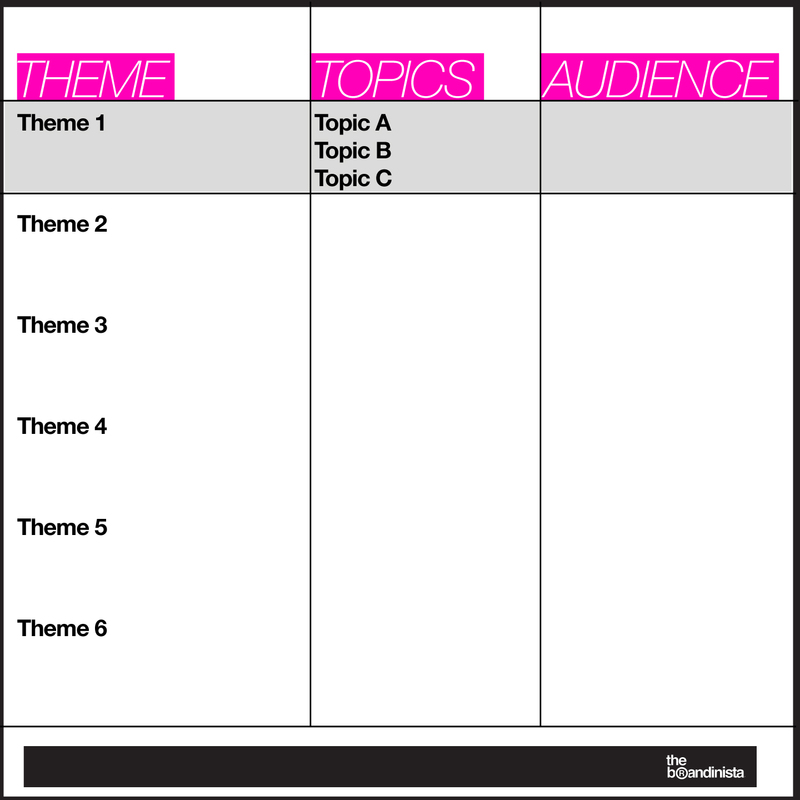 Looking at your target audience and answering to your overarching positioning, think about conversations, themes and topics you can own and write about. In the example above, this person can write about 1) Healthy travel (Healthy Hotels, Plain Plane Food 2) Adrenaline Junkies 3) Workout Apps. You get the picture? Below is a worksheet you can use. Now you know your audience, you have a positioning and you have a list of themes you can discuss, you must clarify your tone of voice. How do you want to sound? Self-deprecating? Protective? Define your voice otherwise you'll sound like everyone else. Below is a worksheet organized into what you are and aren't. This is the tried and true format that I've used to create and document brand voice of the most successful brands. You have what you need to start thinking about the importance of personal brand and how you might craft yours. I'll be speaking and writing on the topic so if you want to hear more and see events in your area, go to my website and sign up for my newsletter or follow me on Twitter. In my next article I will cover how to grow your brand in the analog and digital world. Let me know if you thought this was helpful and please share your challenges.